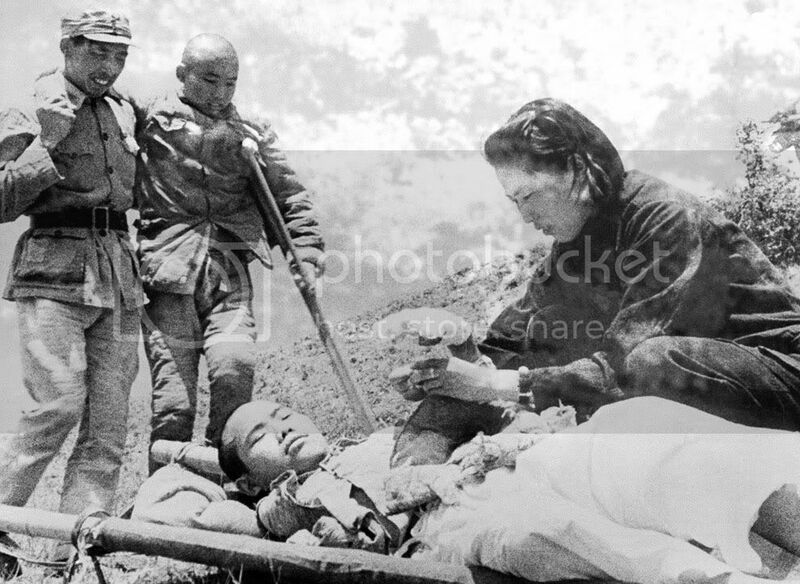 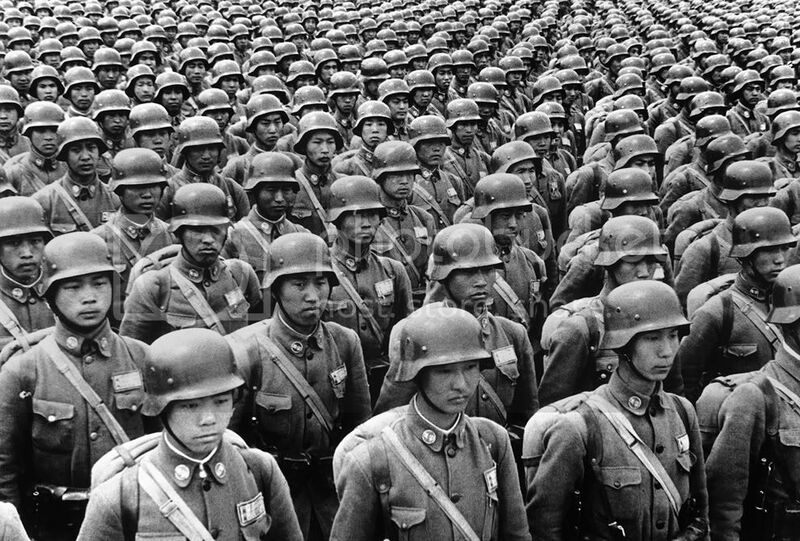 Entering their fourth year of war against Japan, Chinese military forces were strengthening their air force, producing their own armaments, and training their officers in the methods of modern war. 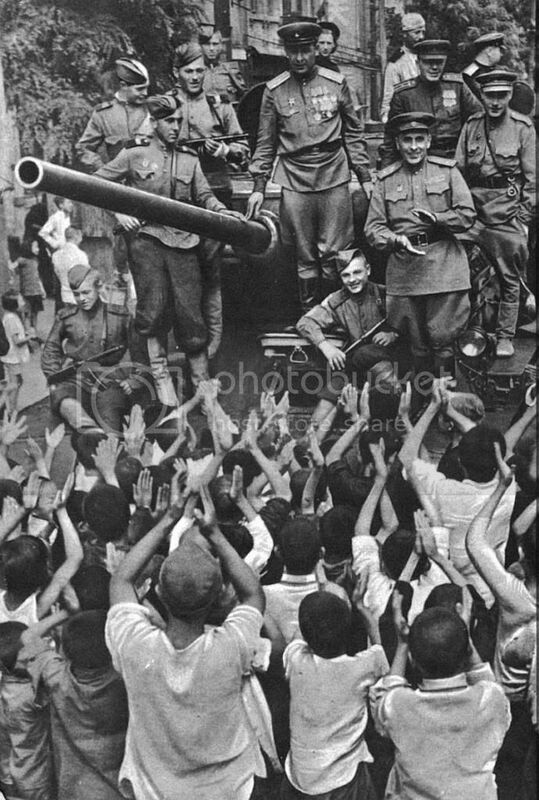 Here, Chinese cadets in full battle dress, they favor the German type of steel helmet, on parade somewhere in China, on July 11, 1940. 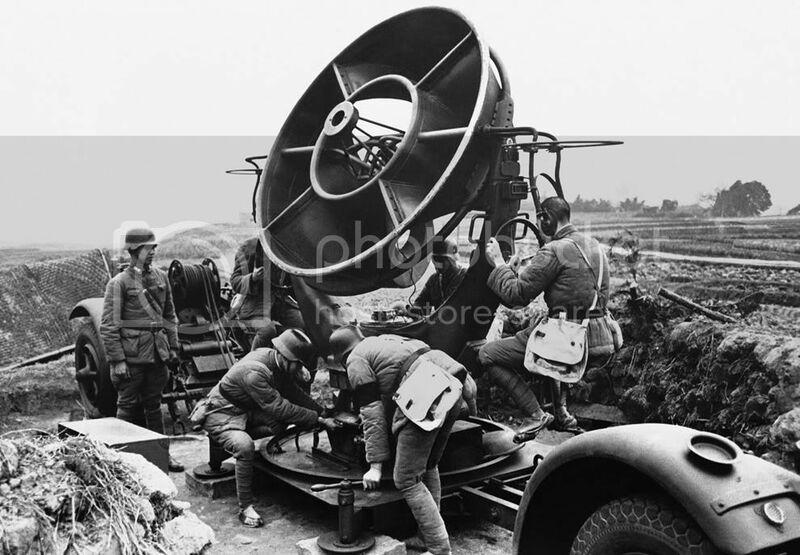 Chinese soldiers man a sound detector which directs the firing of 3-inch anti-aircraft guns, around the city of Chongqing, China, on May 2, 1941. 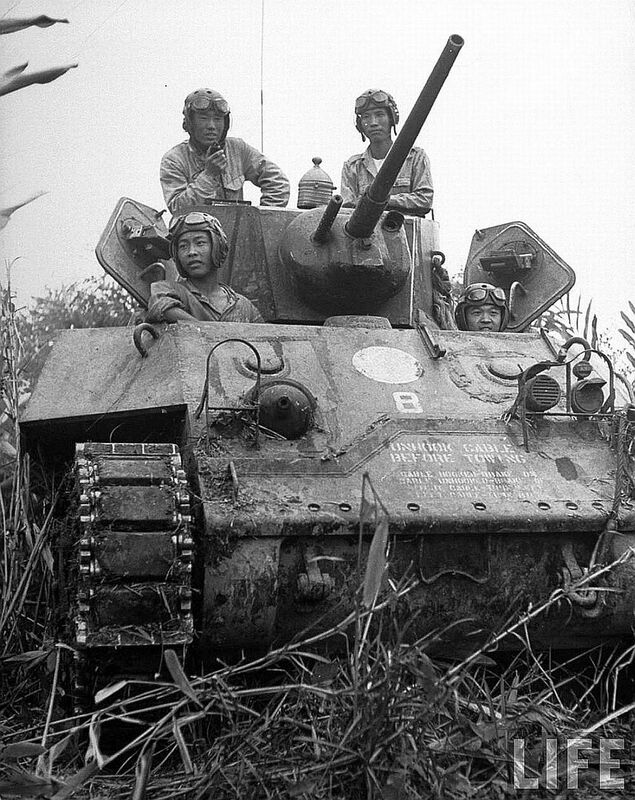 A mechanized column of chinese soldiers head to the Siege of Bhamo in Burma in american M3 Stuart light tanks, nov 1944. 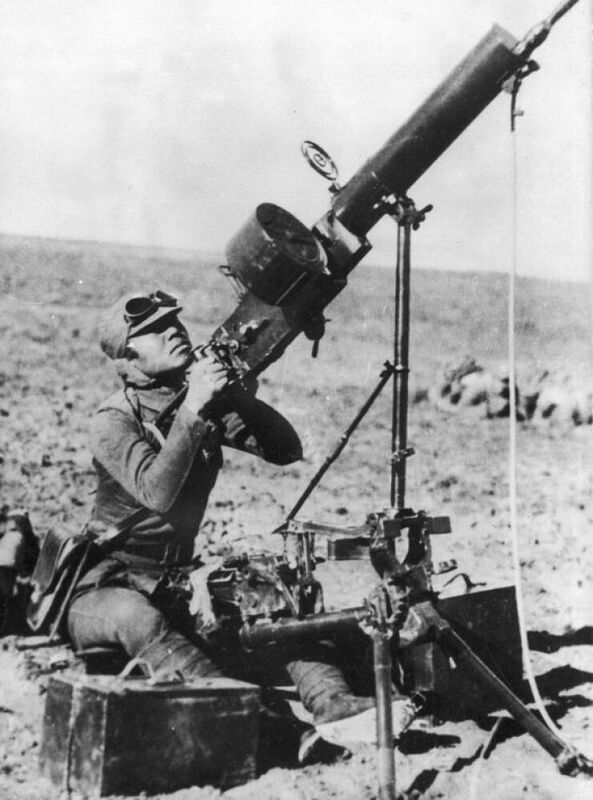 Chinese soldiers posing with a Type 24 machine gun in an anti-aircraft setup. 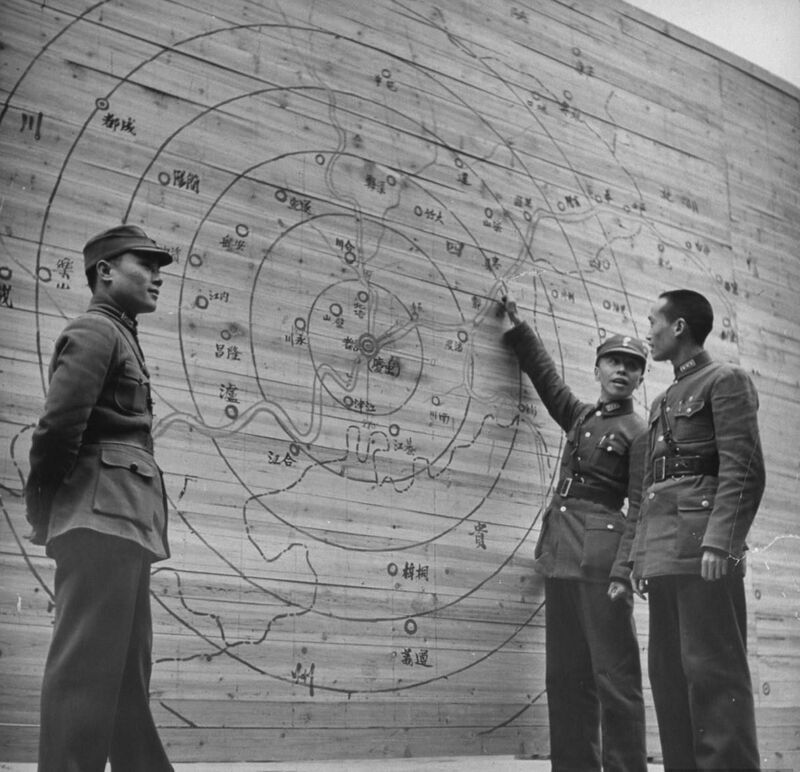 Three Chinese officers studying a map of Chongqing, China and surrounding regions, 1939.